You must understand that the mobile audience is exceedingly big already. More importantly, this audience is growing rapidly. The study by three leading authorities Berg Insight, Morgan Stanley Research and Boston Consulting Group has concluded that Internet usage worldwide will unquestionably double from current usage levels, by the end of 2015. The study has also concluded that the majority of users will be using mobile devices as their primary gateway to the Internet. Currently, not all the over 5 billion mobile phone users own a Smartphone. Nevertheless, as low-priced 3G-capable Smartphone devices swamp the market, the Smartphone user base is growing explosively. Goldman Sachs has forecast that over 80% Americans will own Smartphone devices by 2015. When Google makes recommendations, marketers pay attention because Google controls a large pie (67%) of the search market share. Google’s stance on recommended mobile configuration has always been Responsive Web Design. Of late, Google has advocated the Responsive Web Design as being the industry best practice. Since responsive design business websites have a single URL and exactly the same HTML, irrespective of device, it’s more efficient and simpler for Google search spiders to crawl, regulate, index, and organise content. In contrast, a separate mobile site has a different URL and separate HTML that’s different from its desktop counterpart. This means that Google spiders have to crawl and index numerous versions of the same website. Another vital reason Google favours responsive business website design is because your content resides on one website and a single URL. Your visitors find it easier to share, engage, and link your content when it resides on a distinct mobile website when compared to content that resides on a conventional desktop website. For instance, a mobile user shares helpful content from a mobile website with a Facebook friend. Later, when this friend accesses the shared content using a desktop, the user views a stripped down mobile website on the desktop. This definitely results in a below par user-experience. Considering that Google places a huge emphasis on user-experience in its SERP results, this attribute needs to be taken into account for a favourable SEO. Google has clearly indicated its desire for mobile websites. Websites fashioned for desktops do not deliver a good user experience when accessed on a Smartphone. Google intends to prevent user frustration by providing web surfers a superior Internet experience. Due to this, more and more business enterprises will begin moving in the direction of Responsive Website Design. Surely, you wouldn't want your business enterprise to fall behind here. Remember, what works optimally for Google works optimally for your business enterprise, as well. Reason #3: Single Website, Multiple DevicesResponsive Website Design delivers an excellent user-experience across numerous devices and screen sizes. Since it’s exceedingly difficult to foresee all the diverse devices and screen sizes that visitors to your business website use, creating a responsive website design is critical. A website that functions optimally irrespective of these variables provides a more consistent and superior user-experience when compared to a separate mobile website that’s created for a particular device and screen size. For instance, just consider an individual searching for a product/service on their Smartphone during a break at workplace. The person finds the product or service and decides to research further after going home. The person will undoubtedly use a desktop after arriving at home ─ certainly not their Smartphone. In this instance, if the business website in question is responsive, it will deliver a positive user experience to the individual. The transition from mobile to desktop will be smooth because the user will view the same business website on the desktop after arriving at home, as well as, the Smartphone during the break at the workplace, previously. On the contrary, if this business website is a dedicated mobile site, the person would have been frustrated by having to locate the desktop version after arriving home and find the product/service all over again. 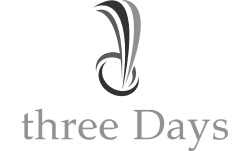 At threeDays, we build a brand new responsive website or a separate mobile website for your business. We design business websites that deliver superior user experience across numerous devices and screen sizes. When you have different desktop and mobile websites for your business, you’ll need separate SEO campaigns, too. Here, you must understand that it’s much simpler managing one business website and one SEO campaign when compared to managing two websites and two SEO campaigns. A responsive website scores over a separate mobile website in this key aspect. The escalation in Smartphone and tablet use has led to a rapid decline in desktop internet browsing. Currently, an astounding 50% of mobile owners use their mobile devices as their key tool for surfing the internet! Mobile devices certainly present a great deal of flexibility and handiness ─ especially when it comes to on-the-go search for swift access to information. It’s a confirmed fact that over 90% of mobile users search for a local business enterprise on their device. Nevertheless, what’s even more notable is that these mobile searchers invariably contact the business they query within 24 hours! Hence, if your business website is mobile-friendly, you will attract more customers (and revenue) to your business. At present, over 70% of small business websites aren’t mobile-friendly. Their customers find it challenging to research and make purchases using mobile devices. Additionally, almost 90% of the small business websites do not facilitate easy viewing on the iPad. Nevertheless, small businesses can gain a competitive edge by taking the mobile challenge head-on. At threeDays, we give helpful suggestions to make your business website mobile-friendly - find out more about our website development services here . The dramatic growth of mCommerce in the last 5 years (over 5000% according to Capgemini & IMRG report) has prompted small businesses to revamp their business websites. You must not delay remodelling your business website to capitalize on this exponential rise in commerce. An increasing number of people are opting for online purchases to save money, energy and time that making the trip to a retail store takes. Mobile shopping has undoubtedly become more mainstream. You can keep up with this most recent trend by optimizing your offline business established to cater to mobile users. Just ensure that the user-experience and purchasing process on your business website is glitch-free. Convert mobile visitors into loyal customers. Regardless of the purpose of your business website ─ whether it’s for providing information or for eCommerce ─ a mobile unfriendly website has a detrimental effect on mobile customers. If your business website is mobile unfriendly, over 60% of mobile users will be discouraged greatly and may desist from engaging with your business enterprise in the future. With the popularity of mCommerce expected to rise, deferring the updating of your business website can be perilous. Reason #7: You’ll Lose Business to Your CompetitorsRegardless of the industry your business belongs to, you must always strive to be innovative rather than getting stuck in imitating your competitors. Almost two thirds of medium size enterprises have already remodelled their business websites to boost their online sales. Nevertheless, in the small-size segment, only 20% have opted for mobile-friendly websites. If your business website loads swiftly and promotes easy navigation, your customers will be enthused to buy from you. On the contrary, if your website loads slowly and requires frequent zooming in on the products to read, your customers are less likely to buy from you. Many small business enterprises have already recognised the importance of mobile web over their online sales. If your business enterprise doesn't have a mobile-friendly website yet, there’s no reason you should delay opting for one. Around 50% of Internet users confided that even if they favor a business enterprise, they’d use the enterprise less often if their website weren’t mobile-friendly. Over 60% of users will move to your competitor’s website if they don’t find what they’re looking for on your mobile website quickly enough. Almost 80% of users who aren’t impressed by the content on a mobile website will move to another website. The absence of meaningful engagement with mobile users proves to be tremendously expensive to businesses. Small and medium sized business enterprises that lack mobile-friendly websites lose billions of dollars in revenue. Less than 20% of SMEs have mobile-friendly websites. Considering that more than two-thirds own a Smartphone, the percentage of mobile-friendly websites is abysmally low. A mobile business website works optimally with your search, as well as, your social media campaigns. Since many of your potential customers use a Smartphone or tablet to locate your enterprise, Google spiders show a higher affinity for mobile-ready websites. Besides, numerous apps can direct visitors from your mobile site to your enterprise’s social profiles. A mobile website permits your business enterprise to deliver original content to your customers. This content helps rank your business websites ─ conventional and mobile ─ much better on Google’s lists. Your prime keywords remain the same on both the websites, but mobile users do select slightly different phrasing. Remaining active on social media and providing links to your mobile website guarantees more activity arriving your way. If your links get reposted, your website is assured of a higher rank. If your business enterprise lacks a mobile-ready website or lacks a website altogether (surprisingly, many small businesses do lack a website), NOW is the right time to launch a mobile-friendly website. Opt for a mobile-friendly website for your business ─ your customers want it. Businesses that delay launching a mobile-friendly version of their business website will lose customers and revenue. More importantly, these enterprises will be overtaken by their competitors who have decided to follow the trend. A mobile web presence results in new sales opportunities for your business enterprise. Since your potential customers use mobile devices on an ongoing basis every day, a mobile-ready website results in sales opportunities that you’d miss out on a conventional business website. An overwhelming 66% of Smartphone users said a mobile-friendly website persuades them to make a purchase. Likewise, 74% said that they would definitely revisit a mobile-friendly website. Getting a mobile website for your business need not be expensive. As with all sophisticated technology, mobile website design and upkeep carried an exorbitant price when it was newly introduced. Nevertheless, you can fashion a mobile variant of your existing business website or even opt for a fresh Responsive Web Design without denting your marketing budget. Setting up a mobile website for your business doesn’t necessitate beginning from scratch. If you own a WordPress or Joomla website, you need to merely incorporate a component that exhibits your existing website content optimally on a mobile device. This is regardless of the device’s screen size. If this option isn't feasible, your website developer can easily recreate your prime content for easier mobile surfing. Mobile browsers automatically redirect visitors to these modified pages. The reasons discussed here make it crystal-clear that a mobile-friendly business website is an indispensable addition to your enterprise’s online marketing arsenal. Since Smartphone use is expected to exceed the actual desktop use sometime in 2014, your business enterprise will miss out on an excellent opportunity if it isn't driven by a mobile-friendly website. At threeDays, we specialise in making your business website mobile-friendly. We build top-notch mobile-friendly websites on a budget, quickly. Call (256) 604-9614 today or use our contact form .